Are other jobs available besides the one I was contacted about? Once you complete our online profile form and are in our system, we verify that you are a good match for the position you were contacted about. 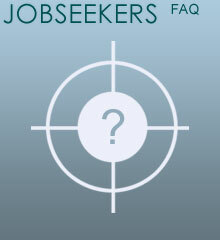 Then we automatically check for other positions and Employers that you may be a good match for. If so, we will e-mail you with detailed information about any additional options. Once you are registered with us, we will contact you whenever we receive a new position that matches your background, qualifications and expectations.